Active regions 10484 and 10486 have been responsible for generating flares. 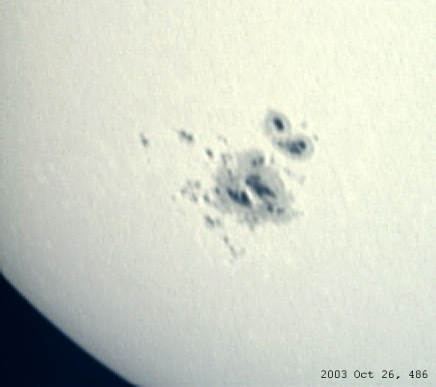 10484 launched an X17.2 flare on 2003 October 28 11.10 UTC. 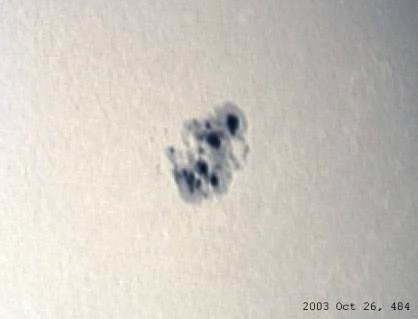 The images below were taken with a Philips TouCam Pro webcam attached to a Celestron C90. They are summed from 96 images captured over a period of 5 seconds. 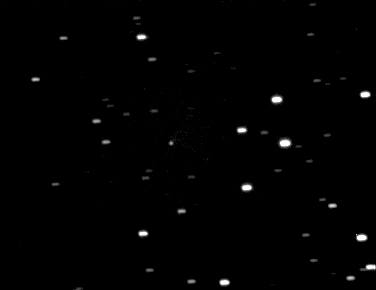 Image of Comet Encke taken with an MX916 CCD camera at prime-focus of Celestron C11, on 2003 October 27.